I have a craftsman 10 inch radial saw. It comes with the stand and manuals. The saw is model no 113.199200 and 113.199250 with legs. It also has the accessory guard not pictured. Runs great. 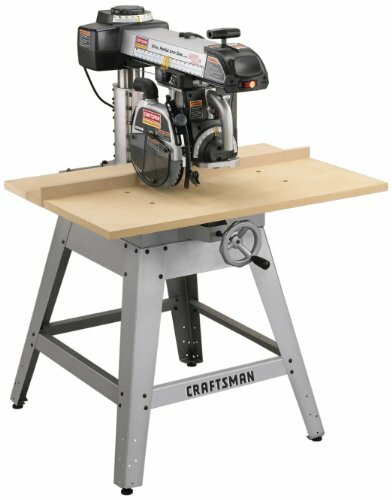 Craftsman, 10 inch Radial Saw, can be wired 120 or 240. I have the manual and I put small casters on the legs to roll it around the shop. I really good shape.